Alfonso Cuaron's 'Gravity' is proving unexpectedly popular at the US box office - breaking the October record for takings, no less. 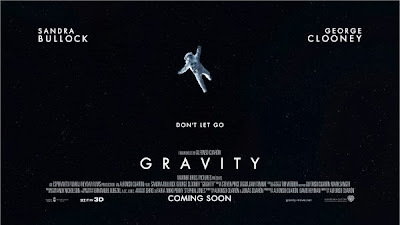 'Gravity' made its UK premiere at BFI London Film Festival this evening, and we've got spoiler-free mini reviews for that film, Robert Redford-vehicle 'All Is Lost', and Bradford Cox-soundtracked doc 'Teenage' below. This year's BFI London Film Festival opened with a seafaring tale, in the form of hijack thriller 'Captain Phillips'. 'All Is Lost' opts for a less flashy but similarly suspenseful approach, the focus firmly on a seemingly unflappable unnamed lone sailor Robert Redford. Redford's boat initially finds itself taking on water via an accident with a metal container but our sailor seems unperturbed by the situation, patching up the breach and moving onward. However, with his radio and electrical equipment now all compromised, his misfortune begins to compound. Redford soon finds himself in a battle between the vast ocean and his own diminishing hope and increasing desperation. Words are scant in 'All Is Lost' but Redford turns in a terrific performance. Unfortunately, the film's death-or-glory finale seemingly cheapens the preceding ordeal, which is reflected in the viewer's experience by the slow pacing. It's taken almost five years for visionary filmmaker Alfonso Cuaron to return following the incredible dystopian drama, 'Children Of Men'. While that film created a rich near-future world, 'Gravity' does almost the opposite - taking us into the vast emptiness of space. Except in this case, the space is not so empty. George Clooney and Sandra Bullock star as astronauts who are caught in a cascading debris field, which destroys their spacecraft, leaving them as sole survivors. The duo then find themselves in an orbital race to reach the neighbouring International Space Station as the debris field looms once again, amid depleted oxygen and battery stores. The 3D is impressive, combining with the superb visual effects, utterly immersing the viewer in the bleak environment. 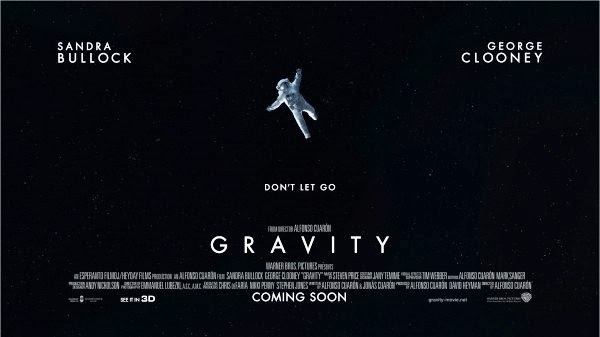 At a lean ninety minutes, 'Gravity' is taut yet gripping throughout, although perhaps lacks the emotional punch of previous Cuaron efforts. Charting the story of the birth of the "teenager" and its rapid rise through the 20th century, 'Teenage' pulls together archive footage and stages period reconstructions to deliver a vivid portrait of burgeoning adolescence. Matt Wolf's unique documentary (based on a Jon Savage book) also recruits Bradford Cox of Atlas Sound/Deerhunter fame to propel the narrative via his engaging score. The narrative approach of 'Teenage' does feel somewhat scatter-gun at times, and the film also suffers, to some degree, from its ethno-centricism - covering the concept of the teenager from the perspective of England, Germany, and America only. Yet 'Teenage' also delivers a rare vibrancy, thanks to its stunning clips, and the diary entries voiced by contemporary mavericks including Jena Malone and Ben Whishaw. Find more info on screenings and purhcase any remaining tickets at bfi.org.uk/lff.